Functional alcoholic Kiana Lewis is looking for a way out. Running away from the memories of her mother's horrific death and her own dead-end existence, she decides to crash her ex-lover's New Orleans wedding and put a stop to the whole thing. 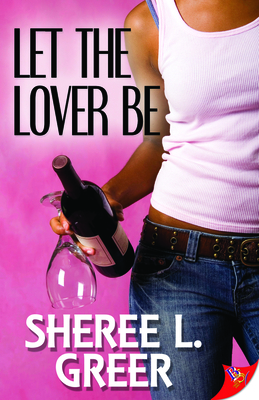 She arrives in the Big Easy to reclaim her old love, and hopefully, reclaim her own life. Her plans are disrupted when she meets Genevieve Durand, a seductive and spiritual New Orleans native who challenges Kiana's skewed sense of resolve and control. Spending time with Genevieve, just like drinking, offers Kiana moments of escape. But unlike the numbing effect of alcohol, the intoxicating Genevieve makes Kiana feel and think about things she'd rather not, like the death of her mother and the destructive ways she uses to cope. On the brink of losing it all, Kiana must decide if she will reach for the next drink or if she'll reach beyond herself to finally slay the demons driving her since childhood. A Milwaukee, Wisconsin, native, Sheree L. Greer has been published in Hair Trigger, The Windy City Times, Reservoir, Fictionary, The Windy City Queer Anthology: Dispatches from the Third Coast, and Best Lesbian Romance 2012. She has performed her work across selected venues in Milwaukee, New York, Miami, Chicago, and Tampa, where she hosts Oral Fixation, the only LGBTQ Open Mic series in Tampa Bay. She earned her MFA at Columbia College Chicago and currently teaches writing and literature at St. Petersburg College. Sheree, an Astraea Lesbian Writers Fund grantee, completed a VONA residency at University of Miami and self-published a short story collection, Once and Future Lovers.While her obsessions constantly rotate and evolve, Sheree has an undying love for hot sauces, red wines, and crunchy tacos. She plays less-than-mediocre electric guitar but makes nearly-perfect guacamole.